The Lord said to Samuel, “Obey the voice of the people in all that they say to you, for they have not rejected you, but they have rejected me from being king over them" (1 Samuel 8:7). Once in a while you have a jaw-dropping experience, which leaves you wondering whether you are dreaming. And sure enough a few slaps on your cheeks confirm that what you are seeing or hearing is actually happening. This is what most Zambians went through during the just-ended national elections when incumbent president, Rupiah Banda, was defeated by his arch-rival, Michael Sata. Banda held a press conference where he conceded defeat and congratulated the man who trumped him. The following day, he even attended the inauguration of the new president and handed over the instruments of power in full view of tens of thousand of the very people who voted him out. Having done his final work, he even waved at the jeering and booing crowd. If you are looking for greatness, there it is! Conceding defeat in any situation is difficult. It is even more difficult in politics. Quite apart from the bashing that your ego undergoes at the thought that your rival has publicly beaten you, it is also because elections are a costly venture. You pour in a fortune into an election campaign with the hope of winning. Loosing the election is like throwing all that money into a furnace. That is very hard. It is even more difficult when you are the reigning president because all the instruments of power are still in your hands. By a word of command you can declare the elections null-and-void (e.g. 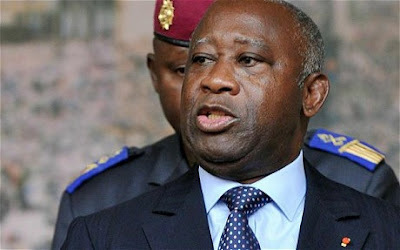 Laurent Gbagbo of Ivory Coast) and call for a re-run. You can even call the Chief Justice to swear you in at midnight and announce that you actually won (e.g. 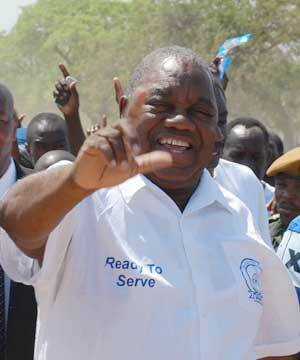 Kibaki in Kenya). We have seen this with many African state presidents. They would rather share power than relinquish it. Hence, a number of our African countries are presently being ruled in frustrating power-sharing structures (e.g. Kenya and Zimbabwe). Others are ruling from God-knows-where, long after a popular uprising has toppled them (e.g. Gaddafi). Our political structures in Africa are not strong enough to force an incumbent president to step down as a matter of course. Also, our culture of giving presidents the aura of paramount chiefs only exacerbates matters. So, whereas it will be taken for granted that Barack Obama or David Cameron will step down if they lose an election, the same cannot be said of an African president. The culture is different here. Add to this the fact that Rupiah Banda’s two predecessors who stepped down after an election—Kaunda and Chiluba—were both prosecuted and persecuted by their successors. Hence, when Rupiah loses an election and steps down, we must accept that it is nothing short of the grace of God to us as a nation. When he even goes so far as to attend the inauguration of his successor, we had better make sure it is not a dream. Such things are rare in Africa. I am calling this “the grace of conceding defeat” because without the grace of God an African president is not likely to do what Rupiah Banda did last week. 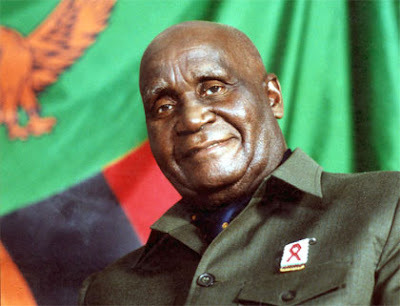 We first saw this grace here in Zambia when our first Republican president, Kenneth Kaunda, stepped down twenty years ago. We are told that he was playing golf in the State House grounds when the votes were being counted. 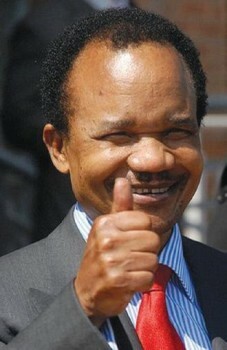 When he was informed by state agents that his main rival, Frederick Chiluba, was too far ahead to be beaten by him, he conceded defeat and instructed the state officials to begin the process of handing over power. This grace or lack of it was there even in Bible days. Let me give you an example of each. There was a time when Israel was ruled by a judge called Samuel. During his reign, the people of Israel began to demand for a king (instead of a judge) as was the case with other nations. Samuel took the matter to God in prayer, as he really felt rejected and dejected. However, God assured him that the people had rejected him (i.e. God) and not him (i.e. Samuel). So, Samuel went ahead and inaugurated their first king, Saul. That could not have been easy for Samuel, especially that he knew from the very mouth of God that the person he was ushering into office was going to make the people regret their decision. Saul was going to take Israel into a mess. Yet Samuel stood before the people and gave them a very moving farewell address before inaugurating their king. The absence of the grace of conceding is seen in the life of Saul, when it became clear to him that David was to be his successor. Instead of conceding and handing over power to David, Saul held on to power until his death. He hunted David like a wild animal to avoid the inevitable. The entire state machinery in Israel was turned into a manhunt. The man was never happy from that point onwards, and he made his own family life impossible. What is it that makes some people give up power so easily and so sweetly while others hang on to it until they are either killed or overthrown? It seems to me that God in his grace makes the former individuals realise that life is bigger than them. God brings them onto the stage for a season and then takes them off—but the play continues. They are not mwine wa filimu (the main actor of a film) who never dies. God alone is the main Actor. The rest of us are dispensable. God also gives such men the grace to realise that there is more to life than the position of a state president. A person does not die when he moves out of the unspeakable comforts of Plot One and when his face is removed from the picture frames in all the business houses in the country. There is life beyond being driven alone, with a motorcade the length of the Victoria Falls. Life can go on and even be enjoyed without your name being mentioned in the first ten items of the Main News in the public media. Life can actually be enjoyed without being made to feel as if you are the most important person around. 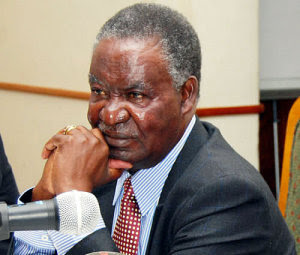 Let me end by saying that in writing this blog post, I am not suggesting that Rupiah Banda never did wrong things as president of Zambia, nor am I suggesting that he was the best president Zambia ever had. I am not even suggesting that the election process itself was conducted on a level playing field. What I am saying is that we need to acknowledge the grace he displayed as an African president in not only conceding defeat but also attending and participating in the inauguration of his successor. We need to thank the man for doing us proud as Zambians and as Africans. But above all, we need to thank God for giving Rupiah Banda the grace of humility and magnanimity to accept that his time to leave the stage had come. After all, Zambia is bigger than him. The Book That Changed My Life! The Die Is Cast—What Shall We Say? Happy 60th Birthday, Uncle Patrick!